How to configure SimpleTelly on your OSMC. This article will guide you through on setting up our DNS service on OSMC through their standard interface, ideally you will need to use a computer to register your IP on our network. 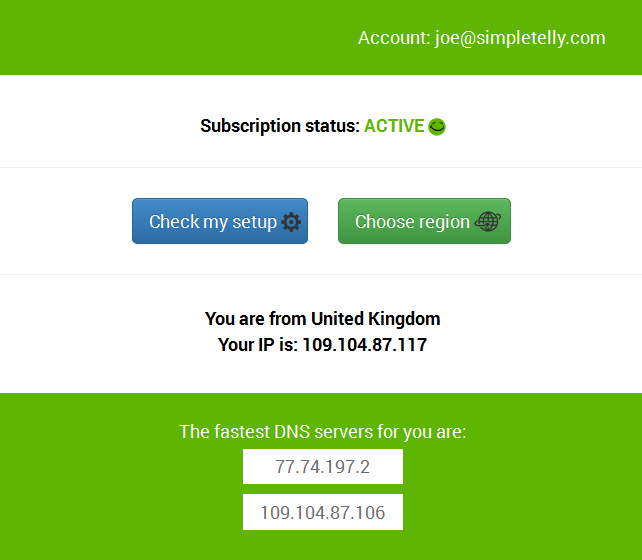 First of all, please login to our website, www.simpletelly.com from a computer on the same network as your OSMC device. From the OSMC Main Menu, scroll down to My OSMC and select Network. Select the active network adapter, in this case we selected the Wired connection. By default, your network should be configured automatically. Click on Configure Network Manually. This will enable you to edit your Network connection. The IP address, Subnet Mask and Default Gateway fields should be populated with your network details, you will just need to edit the Primary DNS and Secondary DNS address with the fastest DNS address that appeared on the browser earlier. Click on Apply once that is done.